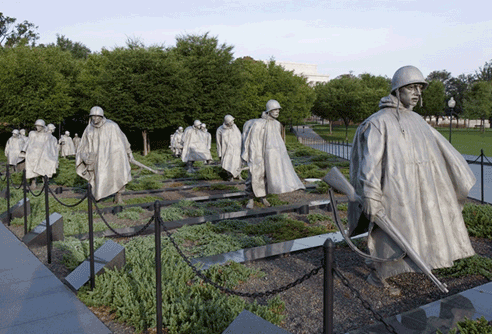 The Korean War Veterans Memorial is located near the Lincoln Memorial on the National Mall in Washington, D.C. It was dedicated on July 27, 1995. 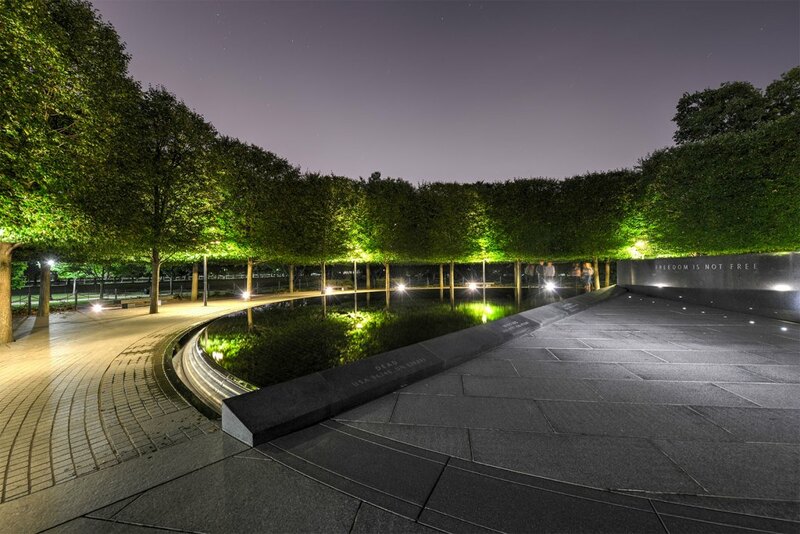 The Memorial was designed and financed by private contributions and erected under the auspices of the Korean War Veterans Memorial Advisory Board composed of Korean War veterans appointed by President Reagan. 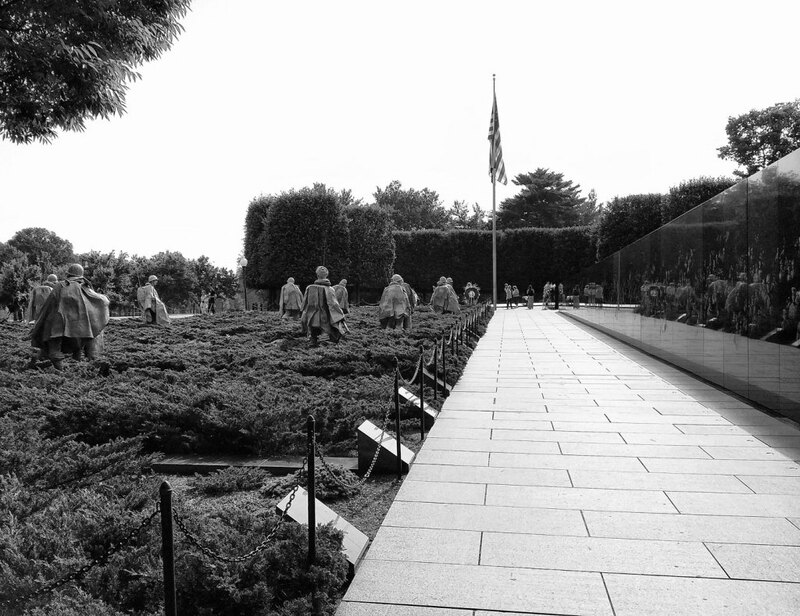 The memorial commemorates the sacrifices of the 5.8 million Americans who served in the U.S. armed services during the three-year period of the Korean War. The War was one of the most hard fought in our history. During its relatively short duration from June 25, 1950 to July 27, 1953, 36,574 Americans died in hostile actions in the Korean War theater. Of these, 8,200 are listed as missing in action or lost or buried at sea. In addition, 103,284 were wounded during the conflict. The Memorial consists of four parts. 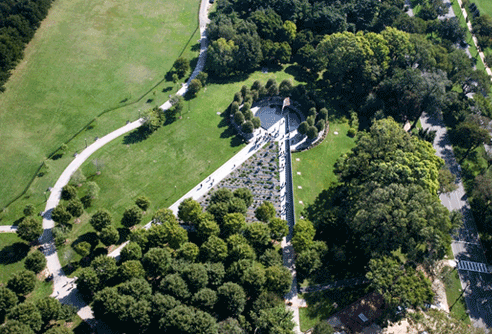 The Memorial has a reflective pool which is at the far terminus of the Memorial site. It encircles the Freedom Is Not Free Wall and Alcove at the base of which are numerically listed the soldiery cost of the war in terms of KIA (Killed in Action), WIA (Wounded in Action), MIA (Missing in Action), and POW (Prisoners of War). The Pool is encircled by a walkway along which benches are located. 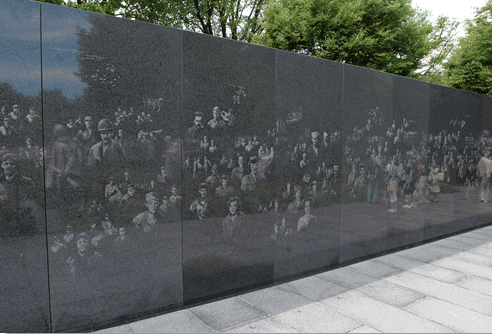 To the left of the Mural Wall is a walkway on which are engraved markers that list the 22 nations that contributed troops to the United Nations efforts in the Korean War.